One day they just grew up and you don’t even know what magic potion they drank during their infant and toddler years. The little girls are just a few years away from being teens, but before we can let go of them, let’s just take this moment and enjoy their sweet and lovely personality as young girls. 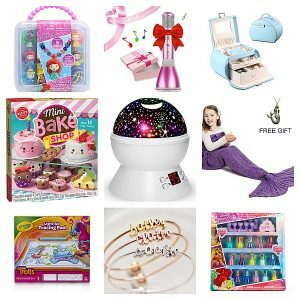 Buying gifts for girls is not as hard as getting them a present when they’re a little bit older, they simply want to play and express themselves. Although we have no pause button to stop them from growing, at least we have a strategy to bond with them during their growing years. 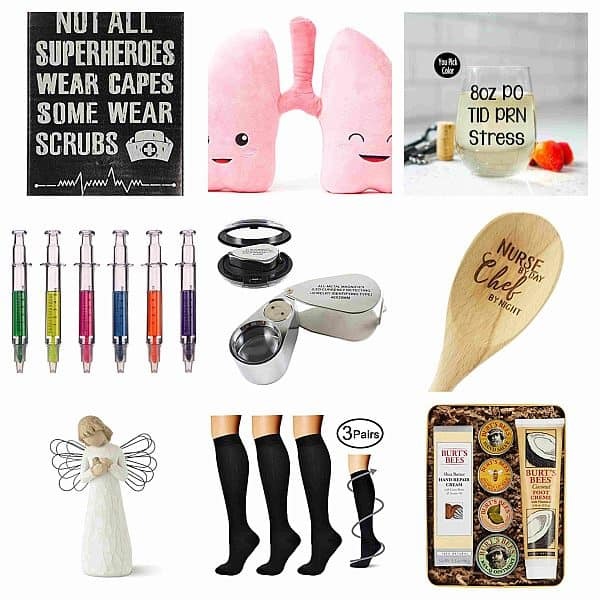 Here, we’ve got a ton of gift ideas for the darling of the family. Girls normally like their accessories and they would truly appreciate if they can put them in one special box. 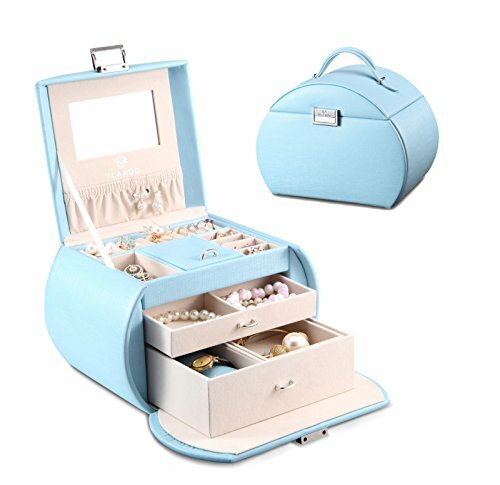 For knick knacks are usually part of their creativity and expression, let them have this posh jewelry box that they can bring from one place to another. Most girls dream of becoming a mermaid, but how can one be a mermaid really? 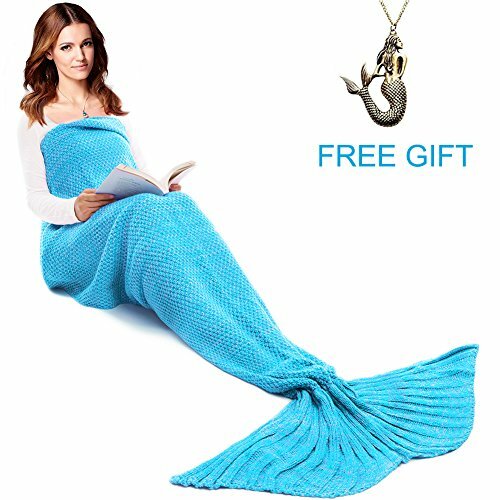 So the closest possible way to make them feel like a mermaid is by giving them this fish tail blanket that will not only make them look like the famous aquatic creature in the folklore, it will only make their feet warm at night time. Every girl dreams of becoming a Disney princess, and what better way to make them be like a Disney princess is by looking like one. This set of peel-off nail polish is easy and safe to use so that little girls can explore and have fun in the line of fashion. 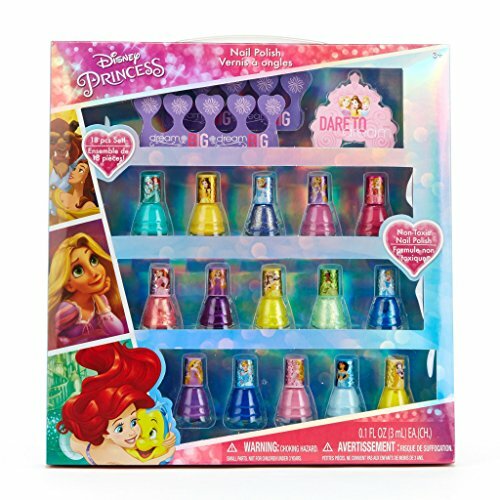 In line with the Disney theme, here’s a gift set perfect for your darling princess. Packed in here are the most loved Disney princesses of all time. 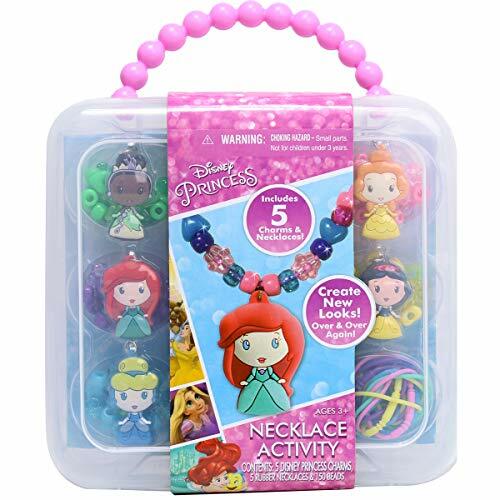 She can simply slide the beads and character charms through the silicone and voila! She becomes an instant princess fashionista! 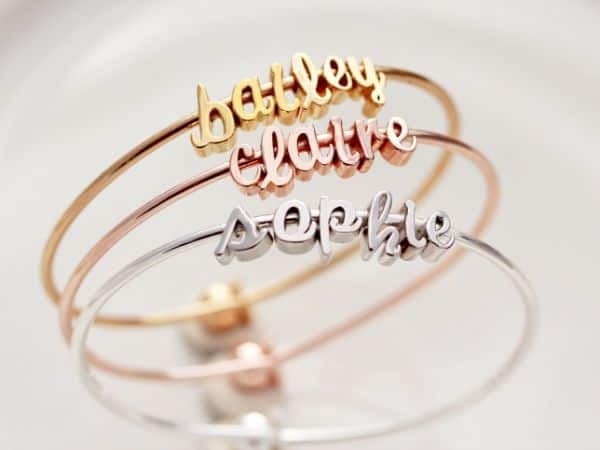 A personalized bangle that is an ideal gift for her birthday or any other special occasion. This will surely fit her charming persona, and what’s really extraordinary about it is the fact that her name is engraved in it. 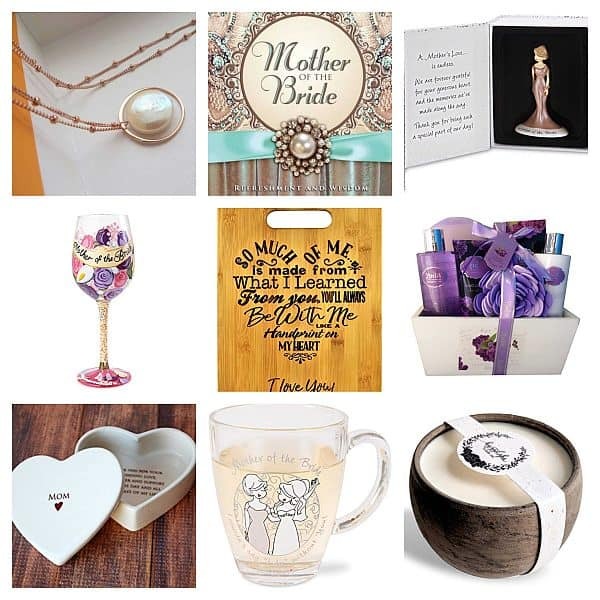 She will surely going to love it! 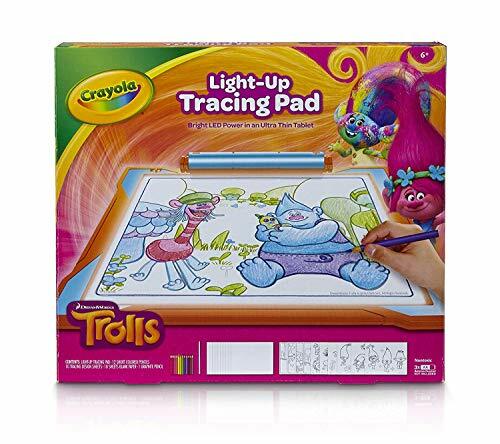 If she is a Trolls fan, like many of us then get her this light-up tracing pad. It has a bright LED backlit drawing screen so that the little girl can focus on her tracing. It’s a nice way of developing her creative skills and imagination. 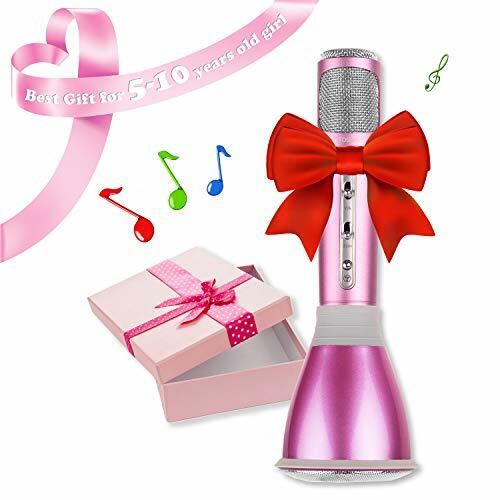 For the future diva, give her this wireless bluetooth microphone so she can develop her range of voice. It also comes with a handheld bluetooth speaker, perfect for her home performance during family parties and dinners. Tired of cleaning up a mess with clay? 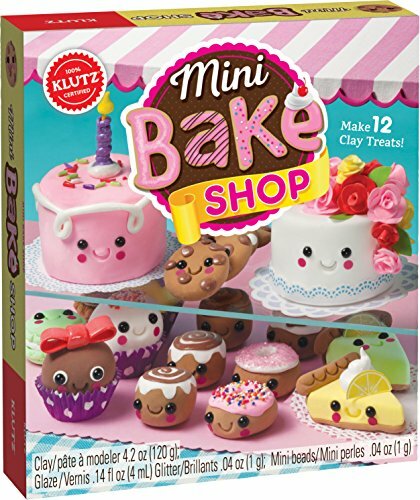 Then level up her clay game with this air-dry clay, bring out her decorating skills with this mini bake shop masterpieces, no need to actually bake her mini projects, she can just display them right away in the cake stand that comes with it. 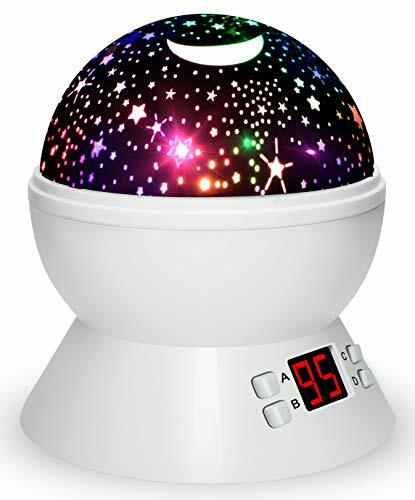 They say dream big like the stars and so we think it’s a good start with this night light projector. It transforms the room into a starry sanctuary that provides tranquility during sleeping hours. It has a timer that shuts down so you do not have to worry once the little girl falls into a deep sleep. 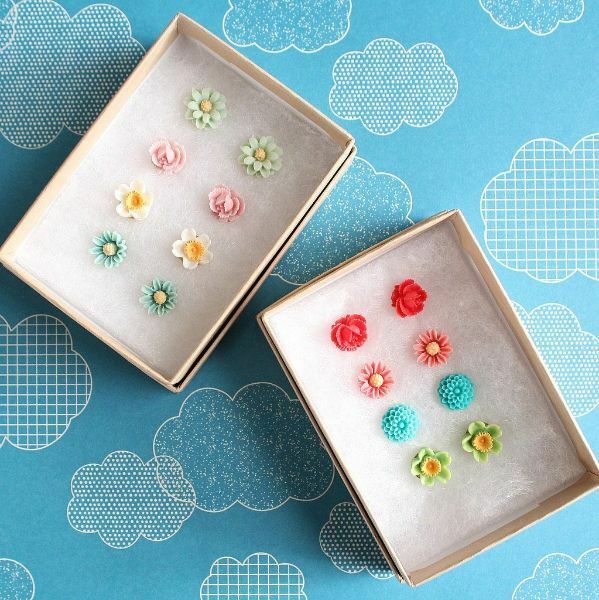 These colorful earrings are definitely eye-catchers, most girls like to mix and match their accessories and these flower earrings will surely pass the accessory party! Made intricately by hand, each box includes 4 pairs of earrings with gold plated studs and barrel closures, she will love these for sure! If incase she is interested in cooking or you want to introduce her in the kitchen, then you may want to consider this complete set of measuring and prep kit. 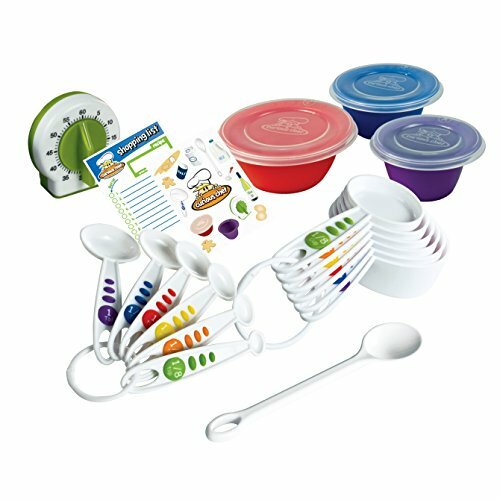 These tools are designed specifically for kids to engage them in the kitchen, remember that cooking is a basic skill. 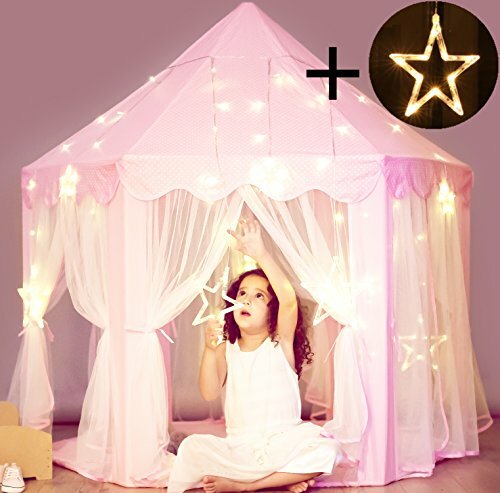 If you want an all out princessy gift then give this enchanting castle tent with star lights string to the number one princess in your life. We bet she’ll never stop playing in it and feeling like a princess, you may want to add a little tiara and a fancy gown to complete the princess pretend play. 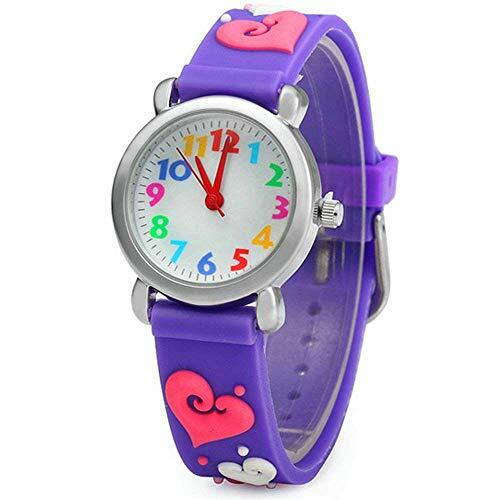 We all know how 5-8 year old girls are playful and waterproof watches are advisable for them as they love to do water play. This cute watch comes in a gift box, ready for gift giving! It is also durable and shock proof, but it won’t hurt your pocket at all! 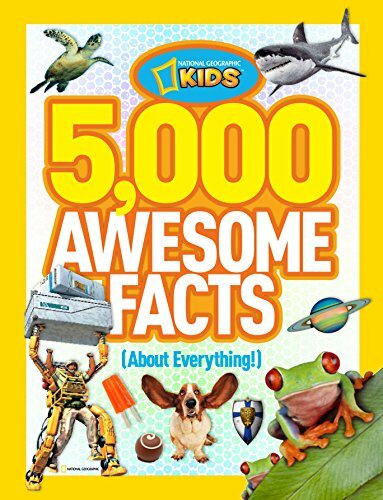 This book is bursting with fun facts, fascinating photographs that will make any kid be curious about the world we live in. And it’s always good when they are interested because that is how they begin to learn. If you want her to become a wide reader or be fact-driven, then stick to this classic, I mean books over gadgets! 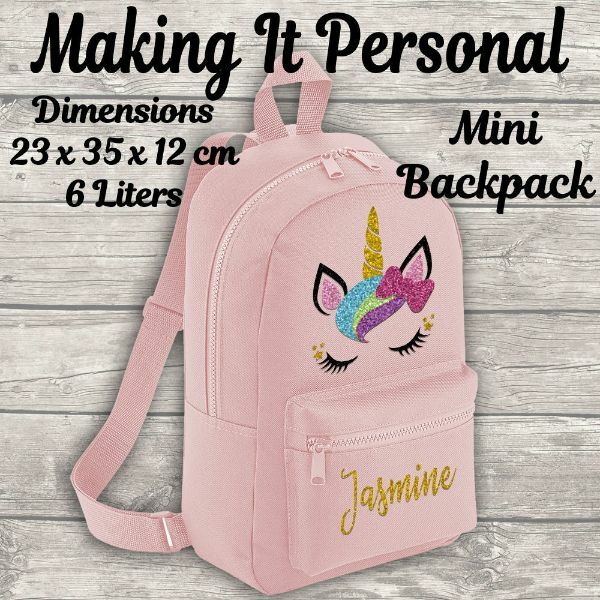 Most girls are into unicorn stuff, but this type of bag is a little bit exceptional as you can customize it with her name. If she’s too girly then this is really a cute present for her, it’s easy to clean and easy to maintain, it’s the best companion to school in carrying her essentials! They may come in different shapes and sizes but they are special in so many ways, our school girl is a ball of sunshine and so much more. Play is a big part of her daily routines and she can be a curious thinker, but hold on tight because before you know it she’ll be a damsel in a few years time. Most gifts will be a hit if it’s more interactive and fun, as she continues to improve her fine motor skills, she is becoming more independent. 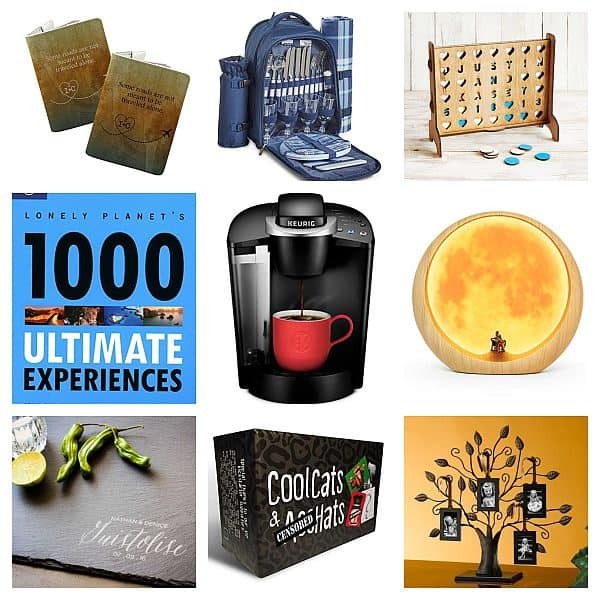 She loves to socialize with friends so a gift that will be shared with her pals should be on your list. All in all, giving her a present shouldn’t make you sweat, for most girls this age appreciate it when they receive a gift from anyone. Just prepare yourself for the future gift giving once she becomes a teen. For now, we’ll prepare for the next listing. Good bye!